The Northwest Passage is one of the world’s greatest voyages. Our fleet of Zodiacs guarantees excitement with every excursion. The Arctic is calling. Pristine fjords. Looming glaciers. Jagged icebergs. Grand vistas, historic sites, graves, and abandoned outposts. 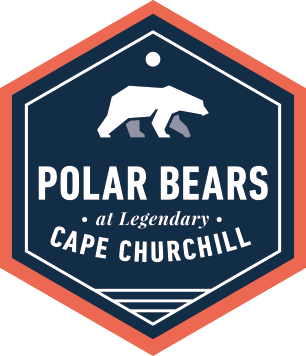 Marine mammals, bears and birds… wonders await. You will find a warm welcome in Nunavut’s communities, and Greenland offers geology, geography, and culture with a European flair. Every day is a new adventure when sailing the Northwest Passage; hiking, photography, birding. Exploring archaeology and spotting bears. Visiting villages perched on mighty mountains. Learning with our experts. Meeting the people who call the Arctic home. And sailing the passage at the top of the world! Located at the mouth of the Coppermine River, southwest of Victoria Island on the Coronation Gulf, Kugluktuk is the westernmost community in Nunavut. Coppermine reverted to its original Inuinnaqtun name—Kugluktuk, meaning “place of moving waters”—on January 1st, 1996. The Coppermine River itself is designated a Canadian Heritage River for the important role it played as an exploration and fur trade route. Copper deposits along the river attracted the first explorers to the area. Upon arrival on our charter flight to Kugluktuk, we embark the Ocean Endeavour. Peel Sound was the Franklin expedition’s route south. It presents numerous wildlife and expedition opportunities. The setting is optimal for hiking and exploring the geological diversity of the area. Numerous search parties later used Beechey as a depot and rendezvous. Amundsen, Bernier, and Larsen visited Beechey. Thomas Morgan of HMS Investigator was buried there in 1854 alongside Franklin’s men. The graves and the ruins of Northumberland House are a haunting memorial. Large populations of marine mammals, including narwhal, beluga and bowhead whales transit and feed in this area. There is a great selection of landing sites available, depending on weather, wildlife, and sea conditions. Aujuittuq means ‘place that never thaws.’ 1,150 kilometres above the Arctic Circle, Canada’s northernmost “civilian” community originated in the Cold War; in 1953, residents were relocated to Aujuittuq to boost Canadian sovereignty. In 2016, the census placed the population at 129. Our activities will centre in the village where we will have a chance to meet members of the community, learn about their way of life, and hear their poignant stories. Smith Sound served as the main route for explorers and adventurers searching for the North Pole. Adolphus Greely, Sir George Nares and Elisha Kent Kane all travelled these waters with varying degrees of success. Between forty-eight and seventy-two kilometres wide and eighty-eight kilometres long, Smith Sound divides Ellesmere Island from Greenland. Here, the sea ice provided an ancient Inuit travel route. Optimal sea ice conditions in Smith Sound can also make for excellent wildlife viewing. We will explore the stunning fjords that line the coast. Glaciers and icebergs abound here. In true expedition style, we will seek opportunities to hike, explore, and view wildlife as conditions allow. Here, we will cruise in our fleet of Zodiacs to appreciate the icebergs. And we’ll visit the bustling town of Ilulissat, with its museums, cafes, craft shops, and busy fishing harbour. The west Greenland coastline is a rich mixture of fishing communities, many islands and complex coastal waterways. The waters are relatively warm here, due to the West Greenland current and the more southerly location. This makes for lusher vegetation. As we enter the Arctic autumn, the tundra foliage will be in gorgeous colour. 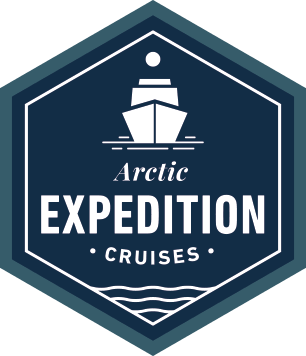 We will be making an expedition stop here to explore the landscape of wild Greenland. Kangerlussuaq, the town at its eastern head, is a former US Air Force base and Greenland’s primary flight hub. Here we will disembark the Ocean Endeavour and transfer to the airport for our return charter flight. All prices, inclusions, and dates may be subject to change due to circumstances beyond our control. Additional Arctic air cost approximately $2,295. Guests will be required to pay a Discovery Fund Fee of $250.00 USD per person.